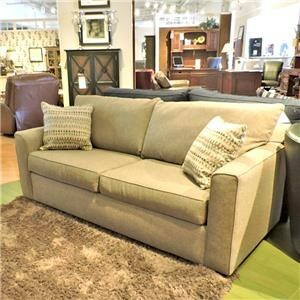 Create a space you can entertain in during the day and host overnight guests in at night with this double sofa sleeper. 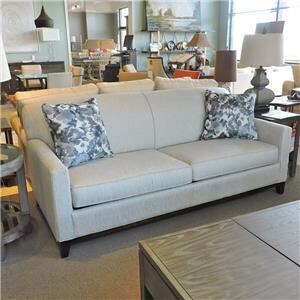 Sporting an on-trend look, this sofa sleeper features contemporary slender track arms embellished by welt cording. Your guests will appreciate the smooth transition from sofa to bed on the European mechanism and the comfortable mattress equipped with heat dissipating memory foam. 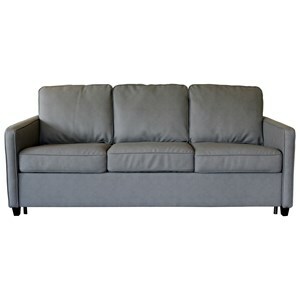 This sofa bed is customizable, allowing you to choose a color that best matches the look you've been after. 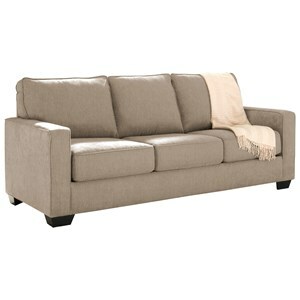 The California Contemporary Sofa Sleeper with Heat Control Double Mattress by Palliser at Belfort Furniture in the Washington DC, Northern Virginia, Maryland and Fairfax VA area. Product availability may vary. Contact us for the most current availability on this product. Pull-Out Mattress Double memory foam mattress with a 1-inch top layer that dissipates heat and ensure comfortable sleep, and a 3-inch bottom layer of high-density foam for support.